Having had a friend of my family who went to Saudi Arabia to work as a medical doctor, I’ve heard first hand accounts of how difficult life is for the several thousand Hindus who live in Saudi Arabia. Not only were him and his family not allowed to openly practice Hinduism, they were not allowed to have gatherings of greater than five people. Doing so would risk a crackdown from the police, and inevitable prosecution. 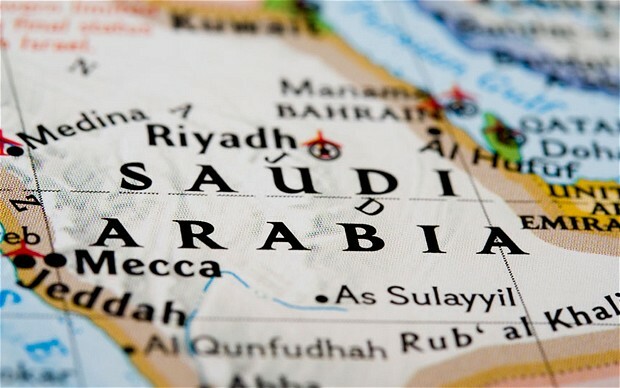 Even more shockingly however, and perhaps a crucially decisive piece of evidence in exposing the discriminatory nature of the Saudi regime is a look at its system of compensation, which was reported some time back in the Wall Street Journal. So there we have it, a Muslim man’s life is worth 90 times that of a Hindu woman’s. Although I haven’t yet decided where I want to spend my summer holiday next year, I certainly know of one country which I have firmly ruled out of my holiday wish list! Imagine how much uproar and indignation there would be if such discriminatory systems were to exist in the other countries, such as the democracies in Europe or Asia. However it appears that no Western government cares to query such issues with Saudi Arabia for fear of disrupting their oil supplies. Note, the Hindus who go to work in Saudi Arabia are also, in my opinion, quite silly for living in a country which doesn’t allow them to practice their religion openly even if it pays well. First man goes there unknowingly – that too is not justified because anyone leaving one’s place should know where he is going. Then, why did others follow? It is the fault of those who go there and not who ill treat them; it is their place, they act as they like. Philippines stopped their girls going to Middle East when they felt insecure. Why India should send people there? Indians going there and the secularist government were irresponsible citizens of India – esult, suffer. Who make mistake should suffer for it. May God help them!! So awful!! I never knew these type of thing exsisted… thanks for sharing! Saudi is discremenatory is well known fact. No external country does anything about it also is known. It is all due to simple economic reasons. Saudi is rather peaceful compared to other mideast countries. So many of our indians are choosing to go into the den of discrimination. For what? For economic reasons. Silly. Nobody cares for human values. Hindu culture is all about human values. But our country has thrown those human values in pursuit of silly economics. Due to horrible economic policies we have created a wide class divide which is pushing people to pursue life in dangerous zones. If we cared for human values here in India itself and created policies enabling, encouraging people to join hands to build stronger society, then automatically economy would have been thriving enough to sustain all people a decent living here. Saudis are barbarics. Everybody knows that. Bengalis do Durga Puja there on big life-size portraits!!!! Bengalis do Durga Puja there on big life-size portraits!!!!? Bengalis? Which Indian Bengalis or Bangladeshi Bengalis? Hindus in Bangladesh are unsafe, migrating to India and you are telling Bengalis do Durga puja in Saudi Arabia means Hindus you mean to say. It is impossible. If some one wants to get his neck chopped up then he can do this kind of thing there. Value of Hindu man is on 6666 riyals where as muslim man value is 300,000 riyals if died or killed in an accident. What you are telling is provocation. There the people live in fear. It is not bad but a very dangerous and worst country. Kuwait is also same. At least I am bringing awareness about part of the issue? Are you doing anything better? Are you raising awareness amongst anybody or doing anything to resist the oppression? All you are doing appears to be preaching to somebody like me who is doing what I can to raise awareness in a palatable way. PREACHING TO THE CONVERTED IS FUTILE.